When my brother visited me this weekend, he asked me to design a business card for him. One who knows Adobe Photoshop or Adobe Illustrator it’s an easy task, so I did design one for him. But wanted to add something new to it, thinking what to do I saw my mobile laying on the desk. I then thought, why don’t I add an encoded message that smart phone could read and save the information to the device? Generate the QR code with the required information, then download the image and add it to the business card. As I have mentioned earlier, almost all the Smartphone platform does provide you with free barcode/QR code scanner. I focus on Android and iOS platform because they won 75.6% of the global Smartphone market share. 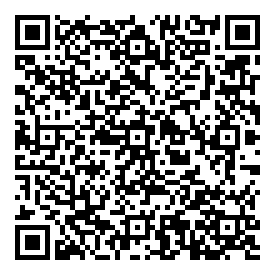 The QR code application I used for Android is QR Droid and for iOS I used QR Code Reader and Scanner. On successful scan on each of these applications, you will be prompted to save the contact to your device contacts manager, and you could see all of the information you encoded in the QR code is right there. Simple isn’t it? Business Wire:According to the latest research from Strategy Analytics, the number of smart phones in use worldwide surpassed the 1 billion-unit mark for the first time ever in the third quarter of 2012. It has taken 16 years for the smart phone industry to reach this historic milestone. When we do have an electronic medium like this, why don’t we use it to save our environment from deforestation? I feel business card encoded in QR code would the future and that’s where we are heading now. Seeing this code on my brother’s visiting card, some of his friends or business colleagues would be aware of this and they too will start using this. You could also share this post with your friend and spread the awareness to build a smarter world. Finally there will not be any printed business cards, only QR code image of the business card inside their smart phone device as an image. Another advantage of QR code is, when you give your printed business card to someone, they might not give you a business right away. You will have to wait for the time they contact for business, but in the mean time there are all possibilities that your business card might be lost or damaged and they would be unable to contact you instantly. But, if your business card was directly saved to their smart phone then it would have been with them, till they flush the smart phone data next time. I hope this would have been informative.